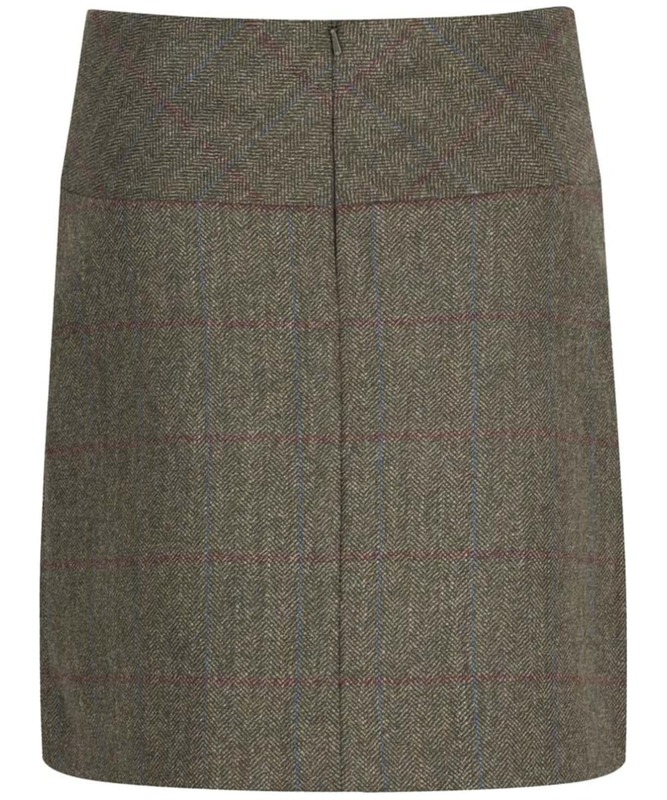 The women's Dubarry Clover Tweed Mini Skirt is a perfect addition to your country wardrobe this season. 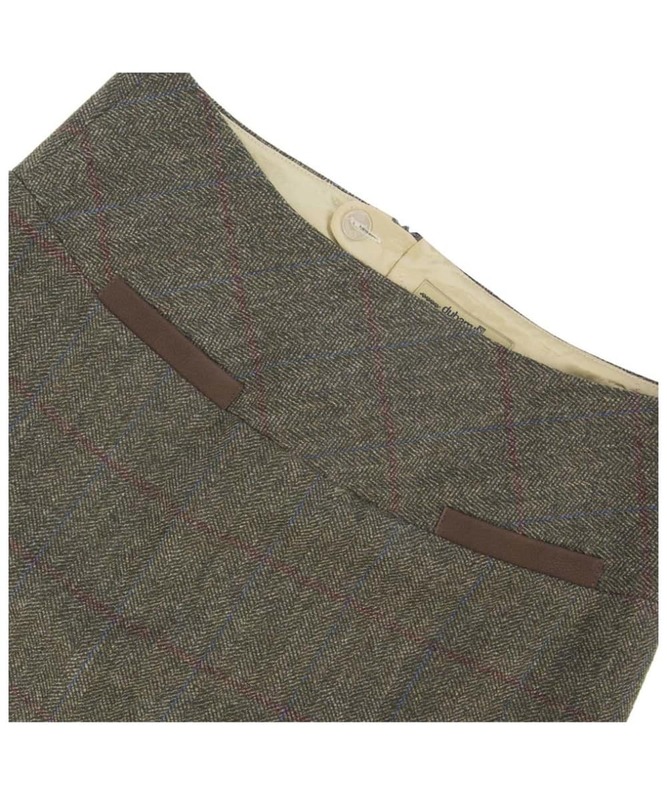 With a leather trim and comfortable front pockets that feature a bespoke stripe pocket lining. Crafted from Teflon ® coated 100% pure new wool for a luxurious and extra comfortable fit and finish. For added detailing, there is contrast gold colour Dubarry branding, with interior detail and a back pocket patch embroidered logo. 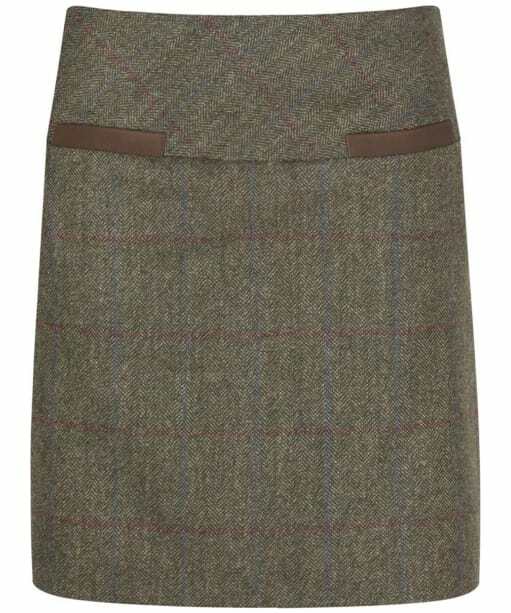 Wear it with a tweed gilet and knee high leather boots for a true country look.